Report from Nebraska Gov. 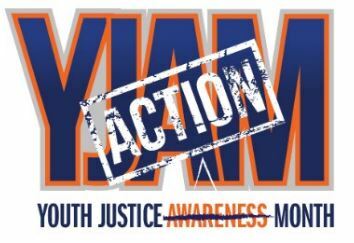 Dave Heineman: "A few weeks ago, I signed into law one of the most important bills of the 2013 legislative session -- Legislative Bill 561 which is aimed at improving the juvenile justice system in our state. It shifts the supervision of all juvenile offenders in the community to the state’s probation system which reduces reliance on detention and focuses on rehabilitation for youth while keeping families involved." When it comes to incarceration, Massachusetts has recognized 17 as the age of adulthood since 1846. Of course, anyone who has a 17-year-old might question that assumption, as have citizens in 38 states across the U.S. Even some states we think of as far more conservative than Massachusetts—Arizona, Alabama, and Mississippi, for example—send lawbreakers younger than 18 to juvenile instead of adult court. The city of Valpairiso, Indiana's Advisory Human Relations Council is exploring how to help reduce racial bias within the juvenile justice system. Tony McDonald, a Porter County juvenile probation officer and coordinator of the Juvenile Detention Alternatives Initiative, spoke to City Council members at their regular monthly meeting Tuesday at City Hall. The criminal justice system is often thought of as existing on a pendulum. Opinions about how the system should operate swing from one end of the spectrum to the other over time. In its early history, rehabilitation ruled the day in corrections. The prison was initially called a “penitentiary,” representing the idea that offenders would give penance, pray and leave a changed person. However, the pendulum swung the other way in the 1970s, when public sentiment moved toward the idea that offenders cannot be rehabilitated and punitive measures are best for society.